We provide structured activities that are planned and supervised by a trained activity director. Programs are timed and varied to fulfill your loved one’s day while preserving a routine in familiar surroundings of a home-like environment. 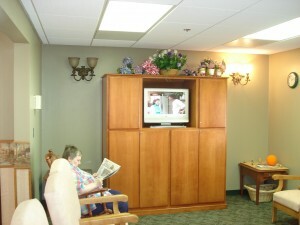 Our programs are designed specifically for our residents living with memory loss. We emphasize each person’s strengths, challenge them enough to give them a real sense of accomplishment and are sensitive to each person’s limitations. 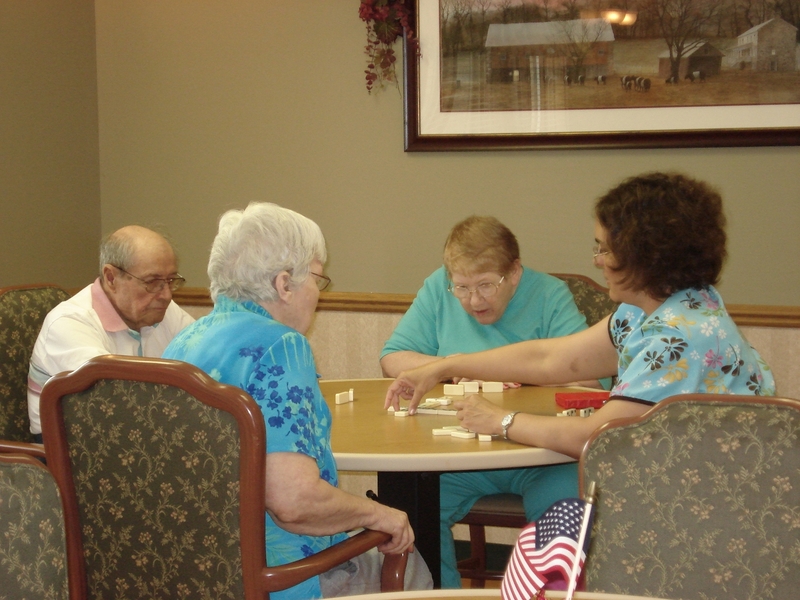 Our activities include music, exercise, games, and special events. Compassionate care starts with our team, who are extensively trained to help manage the unique needs of residents living with memory loss and cognitive decline. The Garden’s staff is educated in the progression of Alzheimer’s, dementia and its management. They look for opportunities to help residents succeed at familiar tasks, perhaps something as simple as making the bed. Every aspect of The Gardens— from lighting to wallpaper designs, textures and surfaces to the hallway widths — has been designed to provide an atmosphere most accommodating to the patient with Alzheimer’s. Natural lighting abounds providing an open and airy environment and interior lighting is diffused to minimize harsh shadows which can cause confusion in the Alzheimer’s patient. All surfaces and designs are subtle and soothing to minimize visually agitating textures or patterns. To see more of what The Gardens has to offer, please click here. To schedule a tour, please call (402) 768-3900.